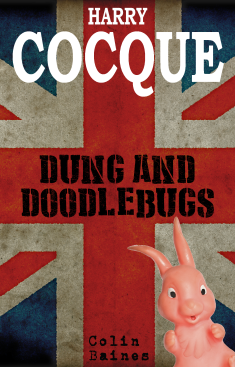 Harry Cocque is a quick-witted young lad living in rural Dorset at the outbreak of World War Two. Determined to do his bit for King and country, he joins the army and is selected for ‘special duties’ with S.W.E.A.T. (Secret Weapon Experiments And Testing), based at an old lunatic asylum. While the villagers struggle to cope with the threat of invasion, rationing, blimps and Morris Dancers, Harry’s somewhat unconventional military career gets him involved in all kinds of peculiar projects, from bouncing bombs and vegetable promotion to a strange incident with a rubber rabbit.